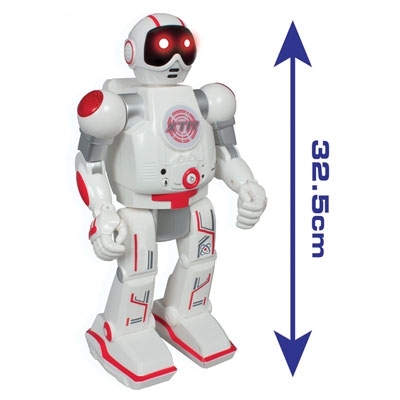 With its ultrasonic detector Guardian Bot will alert you to the presence of intruders in your room. 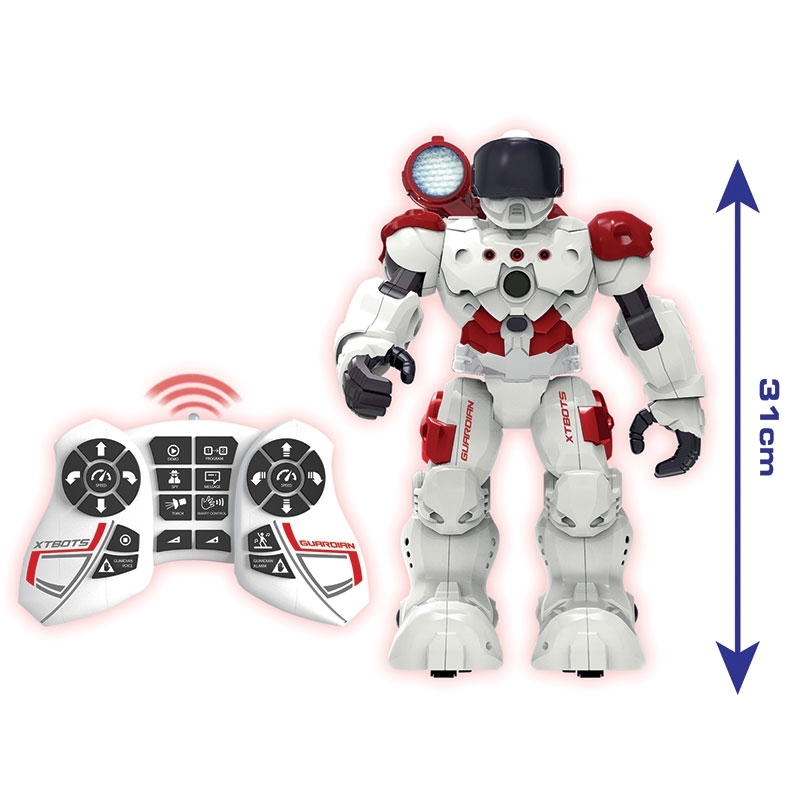 It has spy function too, and Smart Control. 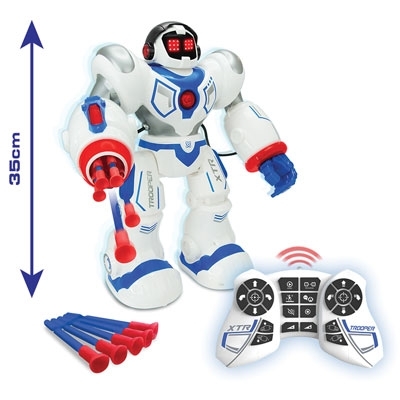 Up to 20 different functions! 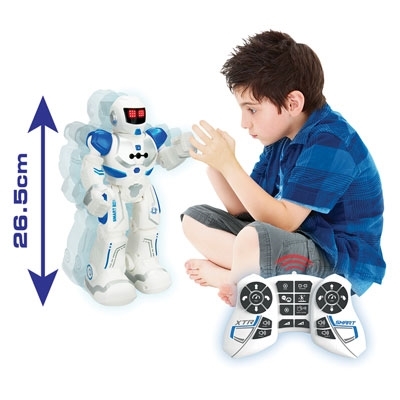 In programming mode it can be programmed up to 50 actions.